We're trying something new here at the YA Highway: Theme Weeks. These are weeks where we will bring you fresh content every day on a specific topic. 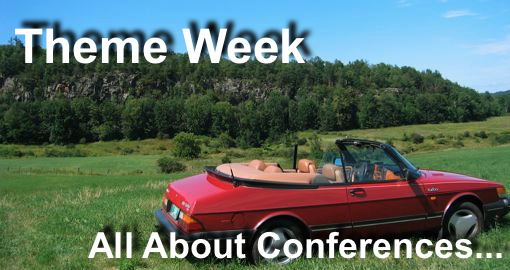 Starting tomorrow, we are going to be blogging about...conferences! ALA, BEA, SCBWI, RT, Ascendio, workshops, book fairs, fan cons, and any other conference we can think of that might be relevant for writers and readers of YA literature. But today, we want to hear from you. What do you want to know about conferences? Who goes to ALA? What does SCBWI stand for? Should you bring business cards? How do you to talk to an agent? What kind of clothes are appropriate? Can you take a picture with your favorite author? No question is too small. If you're thinking it, chances are someone else is too. So please use the comment section and ask away! And look for an upcoming post in which we answer all of your questions. Not really a question, just a comment that I'm glad SCBWI has been putting out conference etiquette guidelines with your registration. The biggest one is making sure that the question you ask during a panel or Q&A is relevant to other people too--you can ask your very specific questions about your project after the presentation or another time. I've seen so many talks get hijacked with one person monopolizing all the Q&A to ask if their premise is viable (and then walk us through it in great detail) or something like that. So maybe I'm suggesting a post on etiquette? Does anyone else out there actually pronounce "scub-wee" like I do? The acronym SCBWI is painful to spit out. Why don't you cover follow-up etiquette for people who want to take up the agents' or editors' open call for queries after a conference. Since this is the first submission for many attendees, some do's and don't for their query letters would be appropriate as well as addressing "how long do I wait?" "what if I don't hear back?" and "what did their answer REALLY mean?" These are the questions I tend to hear from people new to the process. For someone who's new to conferences, go for the big ones, or start small and work your way up? Thank you, guys! These are all excellent suggestions! From someone who knows nothing about conferences... what should one do at a conference? Even just a basic explanation. I've just wondered what the main goal is for someone who attends, or what one should do in general. It's vague, but conferences are still new to me. Thanks, Becca! I hope some of the posts from this past week help explain what people do at different kinds of conferences, but I think there's a range of activities based on the conference itself and the role of the person going. For writers, they often go to listen to panels of authors, agents, and editors talk about the craft and business of writing. 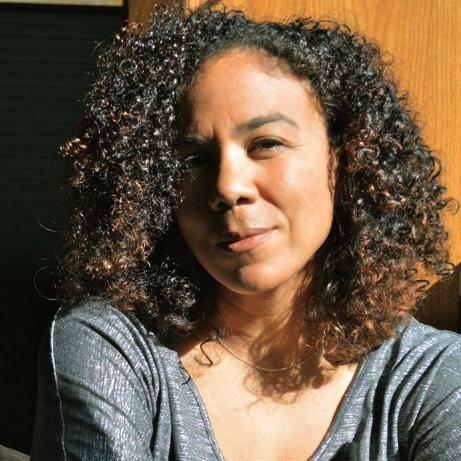 Some events actually have critique workshops where they might share work and get/give feedback, or they might have a chance to meet with an agent/editor to pitch a novel. For bloggers and readers, they might go to ALA or BEA for a chance to get ARCs, hear about new books and meet favorite authors in person: this might happen by attending panels, signing opportunities, and by walking through exhibition halls. And at all the conferences there are chances to socialize and meet new people who love to read YA!